The upcoming September break is going to be even more enjoying and fun-filled with laughters, fun and food. Yes, it's the IEEE Singapore Computer Chapter's Family Day 2010! As many of you have voiced your opinions and preferences during the quick online poll last month, we are now happy to share with you the poll results. Note that it's NOT at Costa Sands Resort @ Downtown East for the registration and ticket collection. 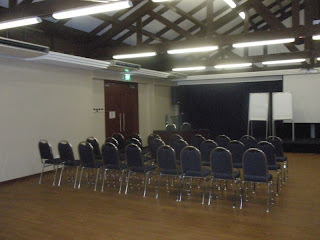 (Address: 159M Jalan Loyang Besar, Pasir Ris Park, Singapore 509404). 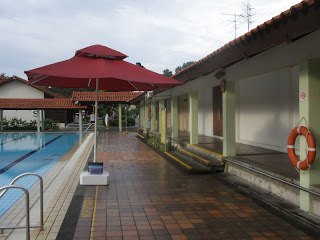 Info on Bus, MRT, Driving, Parking, etc.(http://www.costasands.com.sg/pasirris/). (with a daily charge capped at $6.42 subject to availability). 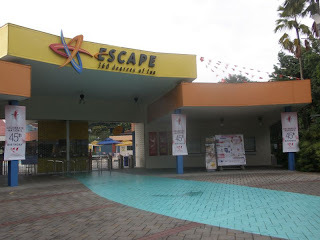 -- Produce your NRIC and IEEE membership card to exchange for the Escape Theme Park tickets. -- Do bring extra shirts and pants (especially for your children) to change later. -- Multiple lucky draws throughout dinner time, where every family is a lucky winner! You may also wish to take note of some general rules and regulations upon entry to Escape Theme Park. 1. No Smoking in the Park except at designated corners. 2. No Pets are allowed. 3. No bicycles, skateboards, scooters and other devices are allowed in the Park. 4. No bare body and indecent attire in the Park. 5. No commercial filming, videography and photography without prior approval. 6. No outside Food and Beverage items are allowed in the Park. 7. No tampering with any technical equipment within the Park. 8. Operating hours and admission prices are subjected to change at our discretion. 9. All safety rules and regulations for each ride must be strictly complied with. 10. Escape Theme Park reserves its right to refuse entry to the rides to any person at its own discretion. 11. Escape Theme park shall bear no liability for any loss or personal injury to any person in the Park. Also note that if you leave the Park and plan to return on the same day, please have your hand stamped by the admission crews before you exit the park and entrance will be through the re-entry gate. Please accede to this procedure. basis only. In no event shall the provision of such first aid or medical treatment tantamount to an admission of liability by Escape Theme Park or the Club for any injury sustained. It is now open, exclusively to IEEE Singapore Computer Chapter members only. * Additional note (if any) -- e.g., 1 adult is not entering the theme park, but will join in the dinner, etc. Upon producing your NRIC on that day, we will return your deposit cheque when you collect your FREE theme park tickets. In the interest of time, we seek your kind co-operation to register soonest possible by August 15 (Sunday). We will confirm your full registration once your deposit cheque is received. We look forward to having a fun-filled and belly-filled Family Day with you and your family. See you all this September 4!